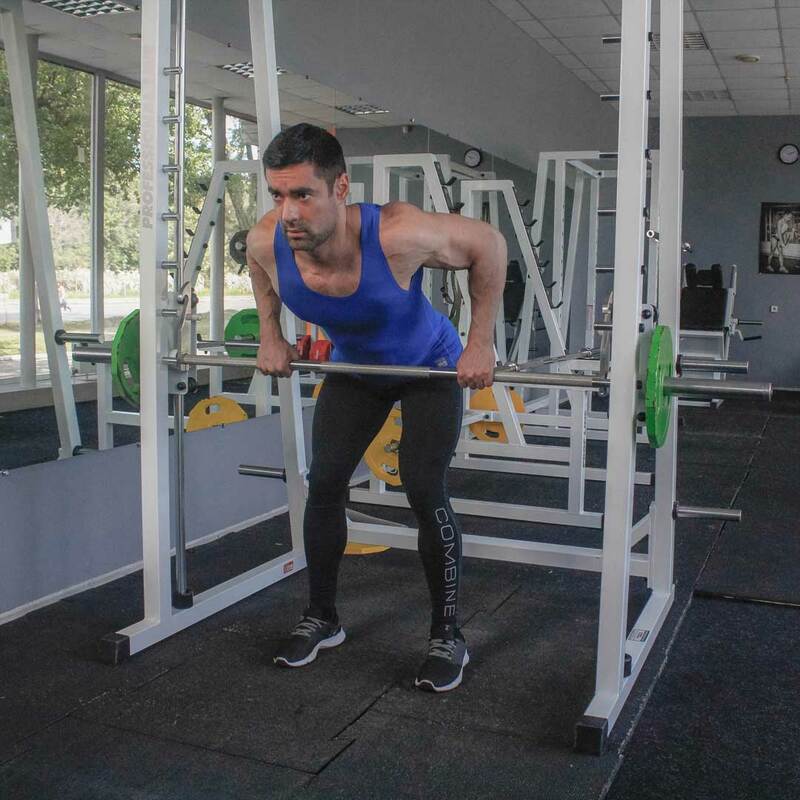 Adjust the barbell attached to the Smith machine, so that it is below your knees at 2 inches. Bend your knees slightly and bring your torso forward, by bending at the waist, until your upper body is almost parallel to the floor. Keep your back straight. Your head should be up. 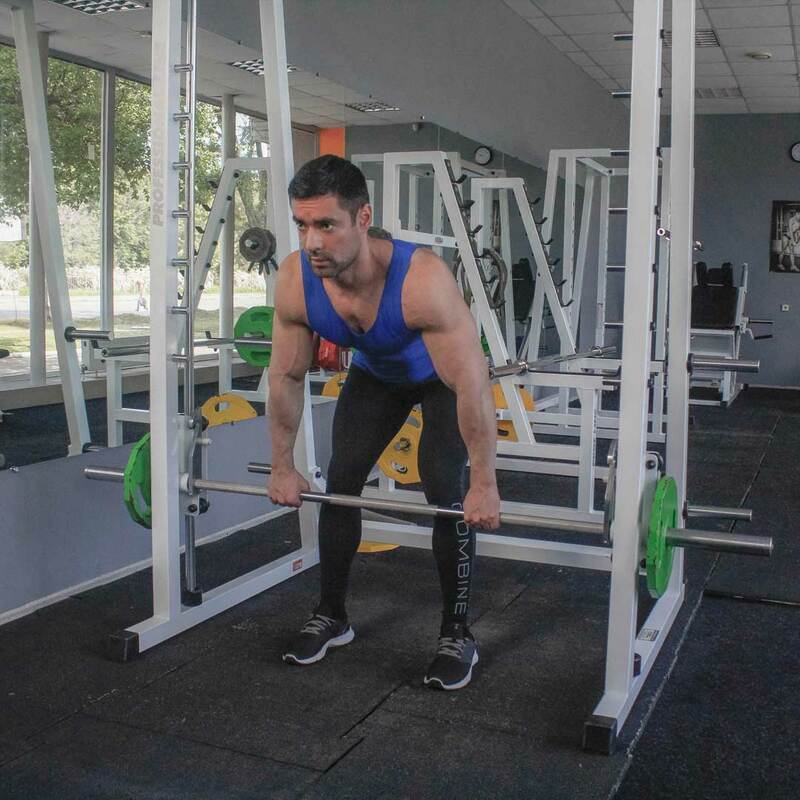 Grasp the bar using pronated grip (palms facing down) and unlock it from the racks. 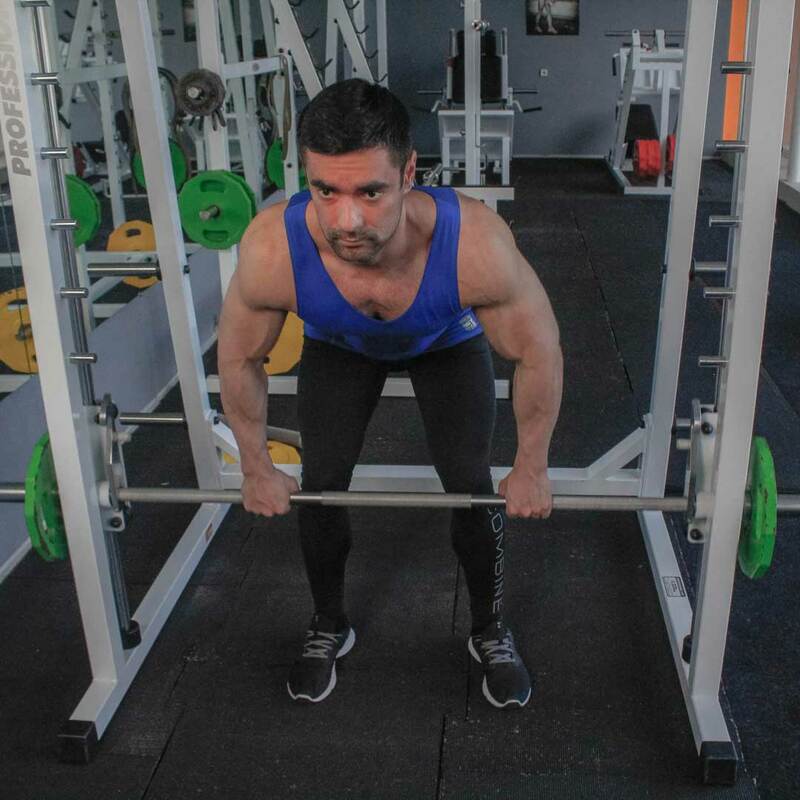 The barbell should be directly in front of you as your arms hang extended perpendicular to the floor and your torso. This will be your starting position. Keeping the torso stationary, pull the barbell to yourself (as you breathe out) while bending the elbows. Keeping the elbows close to your torso, hold the weight with your forearms. At the end of the movement, squeeze the back muscles and hold this position for a few seconds. Inhaling, slowly lower the barbell back to the starting position. Precautions: Refrain from performing this exercise if you experience problems with your back or lower back. Be careful to make sure that your lower back is arched throughout the entire exercise. Otherwise, you can injure your back. In case of doubt about chosen weight, use less rather than more.